Viewing a house share – what to look for. From making new friends, Freshers week and your first assignments to finding your bearings around your accommodation and campus, your first semester at university can be hectic. On top of that, you’ll soon need to start thinking about choosing your housemates and where you want to live during your second and third years. To help you with your search, we’ve picked out our top 5 things to consider when viewing a student property or house share. With groups of three to four plus choosing to live together you need to establish whether the kitchen is going to be able to accommodate everybody’s crockery, cutlery and food. Ideally, there should be at least one shelf in the fridge and freezer per person and one cupboard per person. As well as storage, you’ll need to confirm with the viewing agent or landlord which electrical appliances are included with the property. Don’t worry if there isn’t a dishwasher as we’ve found that most people don’t want to be the one to load and unload it so everyone is much more likely to take care of their own dishes. During the viewing make a note of anything that doesn’t appear to be in working order and raise it with the letting agent or landlord. You’ll likely find that they will agree to get things fixed before you move in. You’ll also need to consider whether there are enough bathroom facilities to cater for everyone. Do all bedrooms come with an en-suite or will the whole group be sharing one bathroom? Whilst viewing the bathroom, try running the taps and shower and flushing the toilet to make sure that you’re happy everything is working correctly and with the level of water pressure you’re likely to be getting. It’s important to have a good understanding of what is and isn’t included with the property. Ensure the viewing agent or landlord provides you with an inventory and check that things like chairs, desks, beds and mattresses are in working order. This will allow you to ensure that everything that is included is there during the viewing and raise anything that you don’t consider to be in working order with the viewing agent or landlord. Again, things are likely to be rectified before you move in and if anything is missing or hasn’t been fixed/replaced, you’ll already have the agreements in writing. Confirm whether or not bills are inclusive of the rent. If they are, this can avoid big arguments over who has paid what and you won’t need to worry about things like how long the heating has been on for or whether you accidentally forgot to switch the lights off because everything will have already been paid for. If they aren’t, then you’ll need to consider the additional costs when calculating your living expenses. Other things to consider in relation to expenses include checking what the admin fee covers and whether the deposit will be registered in a Government scheme. 5. Who will be managing the property? Check whether a letting agent or the landlord themselves will be managing the property and speak to the current tenants. They’re likely to give you an unbiased account of what it’s like to live in the property so you could ask them things like how easy the letting agent or landlord are to contact and the level of service they’ve received when things have needed resolving. A property may look well maintained and you might be drawn to the large kitchen-diner ideal for social occasions but ultimately, you need to decide whether you can see yourself living comfortably and safely there. These are just a few of the things to consider when viewing a student property. If you would like any advice or have any questions, contact our experienced and friendly team on 01244 346226, they will be happy to assist. 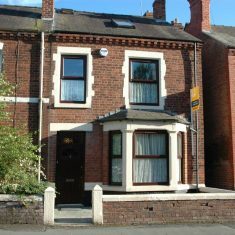 You can read more about our house shares in Chester and the surrounding area here.